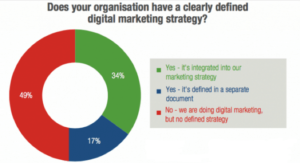 Are you using digital marketing in your enterprise? If the answer is no or unsure, know that you are lagging behind. The marketing niche is adrift. Traditional brick-and-mortar models no longer bring results. They are expensive, lengthy and unreliable. Starting from 2017, marketing professionals are referring to the session as post-digital marketing period. In their study, Smart Insights found that most businesses already have some form of digital marketing. About 34% have already integrated digital marketing into their marketing strategies while 17% do not have a digital strategy though they use several channels for online marketing. Brands no longer broadcast their ads on television and sit back waiting for clients to come. Rather, they use digital marketing campaigns that help build communities around their enterprises to strengthen their image, sustain high sales and grow over time. In this post, we take a comprehensive look at digital marketing to demonstrate why now is the best time to start investing in digital marketing. 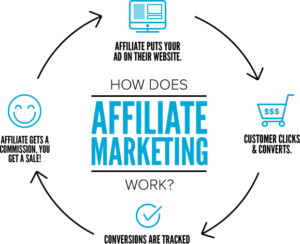 Affiliate marketing: This is a strategy that involves using industry leaders who command a lot of following to drive higher traffic and sales. Affiliate marketing brings the market leaders who command respect and use their endorsement to help drive sales. The experts review your items, post related posts, and direct clients to come and buy. You are charged a commission for every client who comes and converts. In one of the 2015 IBM Digital Experience Survey, about 56% of marketers believe that personalized content promoters yield higher engagement. Mobile marketing: In 2016, Google found that over 50% of the searches on its network were made from mobile devices. This prompted the search engine giant to encourage enterprises to optimize their sites, posts, and design for mobile viewing. By using mobile-optimized marketing methods such as mobile apps and mobile sites, you are sure of reaching more than the target audience. Content marketing: In digital marketing, content is king. This strategy involves crafting content for blogs, posting as a guest post in other websites, generating web-based content, and social media posts to help educate, connect, and persuade clients to buy from you. The process involves comprehensive niche study to determine what the target clients want, issues affecting them, and solutions. About 70% of online marketers lack a clear content marketing strategy according to Altimeter. Other digital marketing strategies include social media marketing, Pay-Per-Click, Search Engine Optimization, email marketing, and marketing automation. Even as digital marketing takes root and its benefits become evident, many businesses still opt to go the traditional way. However, it comes as a rude shock when the target clients find alternatives that are more reliable, direct and satisfying. Here are some great reasons why you need to put more investment to digital marketing. Digital marketing helps to increase reach, traffic, and conversions. Unlike the conventional marketing where the limits and bottlenecks are very many, digital marketing increases reach to drive traffic and sales. You can take content to all social media platforms and search engines to drive traffic. The strategies help marketers to understand the target audience better. Whether you prefer social media marketing, email marketing, or affiliate marketing, the strategies place the target audience and marketer in the same room. Your audience can reach you directly using emails or mobile apps to get clarification, raise concerns and even give feedback. The best way to follow, gauge and implement changes in your marketing strategy. If you release an ad on television, it is very difficult to tell if the results actually came from the message sent to clients. However, it is very easy to follow back digital strategies and establish which strategy yielded results. For example, you can set the UTM parameters of the website’s product URLs to follow specific campaigns. It is also easy to know which referrals from affiliate marketing that actually converted. This means that you only pay for the methods that bring results. Investing in digital marketing helps to build and strengthen the brand community. With digital marketing, the target is not to simply make sales. The strategies are always long-term. Marketers combine these strategies to ensure that clients stay around for longer to strengthen the community. They own the brand, help to demonstrate products effectiveness and keep the conversation about your enterprise alive on other platforms. To succeed in the current highly competitive marketing environment, investing in digital marketing is not an option. It is the best way to fire an enterprise and keep the fire for faster growth burning. When implemented appropriately, digital marketing guarantees the highest return on investment.